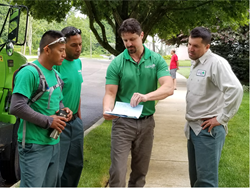 Giroud Tree and Lawn, a locally owned tree service and lawn care company, is one of only 206 companies in North America to be accredited by the Tree Care Industry Association (TCIA). To earn TCIA Accreditation, Giroud Tree and Lawn had to pass a rigorous 63-point audit of every aspect of the company’s operations. Job Briefings are an essential part of TCIA Accreditation. They ensure that everyone working the job understands the challenges they may face and the strategy for the day. TCIA Accreditation provides homeowners with a way to find tree care companies that are trustworthy in their business and tree care practices. When a homeowner hires a tree service company, a key concern is always whether the company will do what it promises. Giroud Tree and Lawn is proud to announce that it was recently awarded Accreditation by the Tree Care Industry Association (TCIA). The TCIA Accreditation process is rigorous. Giroud Tree and Lawn had to pass a 63-point evaluation that included audits of business practices, employee training, safety standards and customer satisfaction. Giroud's video helps homeowners understand the process and the benefits of working with a TCIA Accredited tree care company. Once accredited, businesses undergo renewal check-ups annually. The annual renewal ensures that the company continues to employ trained professionals, is still properly insured and has a good safety and consumer satisfaction rating. Accredited tree care companies must also re-apply every three years so that their practices can be reviewed and the continuation of best business practices can be verified. 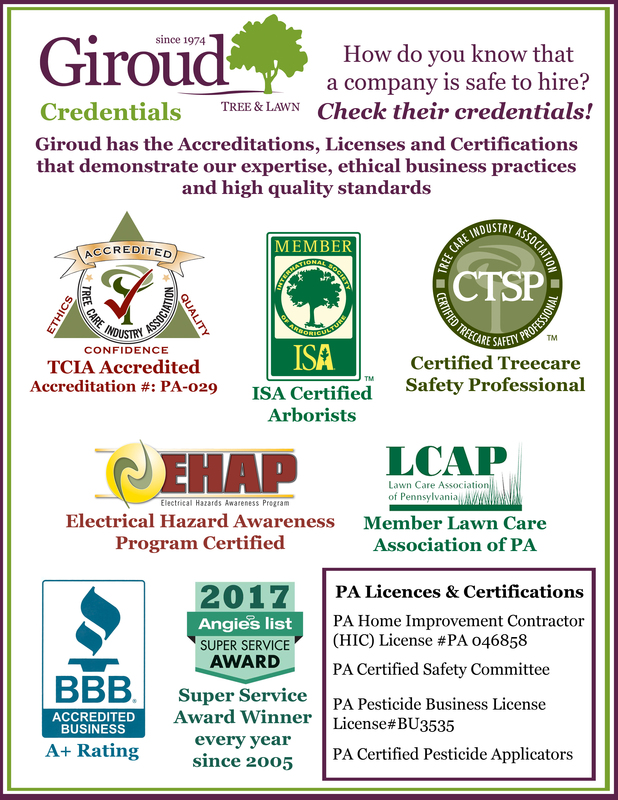 For more information on Giroud Tree and Lawn, visit http://www.giroudtree.com or call 215-682-7704. For more information on Tree Care Industry Association Accreditation, visit http://www.tcia.org.